In my neck of the woods it's pouring outside and the weekend looks to be a total washout as well. It's times like these when I become ambitious about updating my blog since my outside plans have been scuttled and it's well past time anyway. 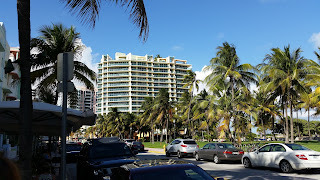 As I reflect on this cloudy, rainy day, my thoughts are transported back to the beautiful weather we experienced while visiting Miami and since I've never written about the area for Cheeseplates and Room Service, I thought it might be a good time to do so. I've mentioned before that the best way to obtain an overall feel for an area is to start with a Big Bus Tour. One-day passes will set you back approximately $40 and you'll learn a lot in a relatively short amount of time, which will enable you to return to your favorite places later. 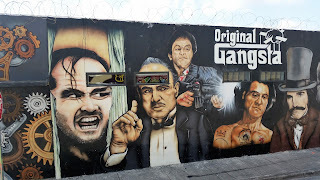 Last year when I visited the area, I spent the first day on the bus, learning about the history and culture of the area from a knowledgeable guide who not only pointed out landmarks, but also provided us the backstory on many of them. Hopping on and off on a whim was a breeze, due to a steady circulation schedule that ran from 8:30 a.m. to 5:00 p.m. Shooting pictures is easier from the upper tier, but take heed to apply sunscreen, or you're likely to get a nasty burn in the blazing Miami sun. 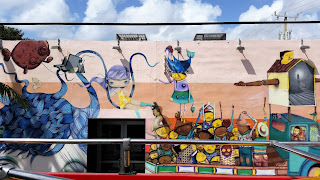 The Miami Big Bus Tours are separated into three categories: The Beach Loop, the City Loop and the Uptown Loop and the vehicles are color-coded so you can easily discern which bus to catch, depending on where you would like to go. 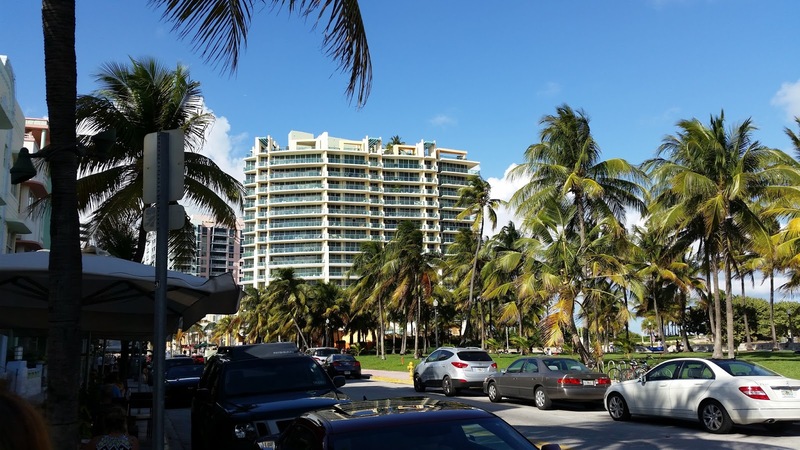 The Beach Loop transports passengers across the MacArthur Causeway to South Beach, where they can take in a view of the colorful, carefully tended art deco hotels that are prevalent along the bustling Ocean Drive. 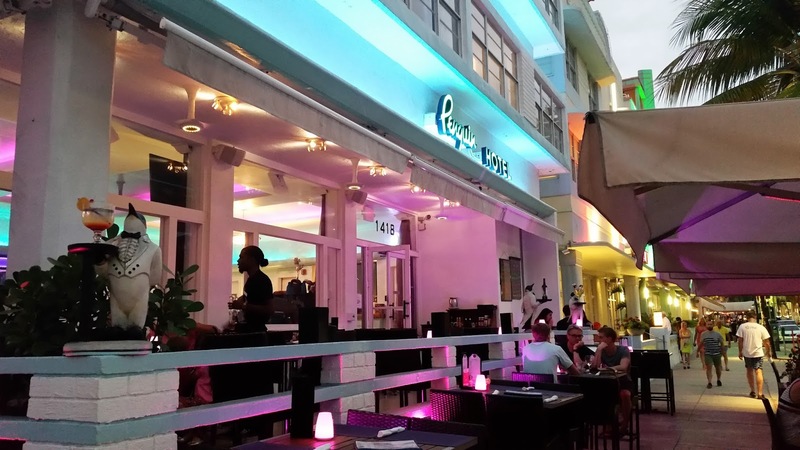 Ocean Drive is also lined with restaurants, all competing against each other and vying for your business. Expect employees to approach you often along the way. The formula usually involves menu thrusting and questions on why you aren't interested in dining at a particular establishment. At one point, I decided to walk in the street to avoid the tiresome ritual. 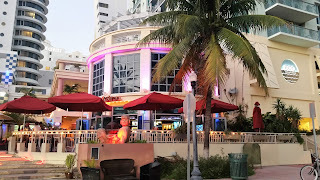 Despite that minor issue, Ocean Drive is a fun, party-central basecamp if your bag is sitting outside and watching the world go by while consuming copious amounts of alcohol. Tourists gather from around the world to eat, drink and be merry on the famous commercial stretch of land and there are more than a few opportunities to "get your drink on." Sweet and sugary drinks are the rage here and are traditionally served in fish bowl-sized vessels featuring two upside-down Coronas. In my quest for a less sugary drink, I fell in love with the Caprihena and I do wish more bartenders would serve them where I live. Good luck finding a place that will serve you a normal-sized drink however. 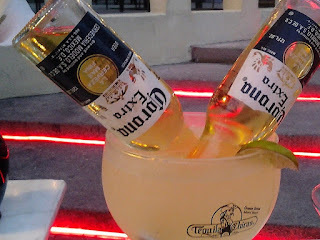 No matter what time of day you happen to visit the area, you're guaranteed to get a vat of alcohol, with the accordant calories, but hey, when you're on vacation, you're on vacation. 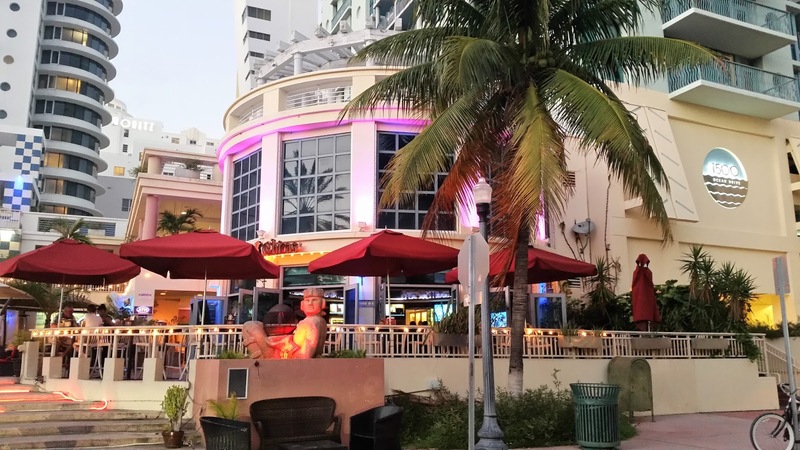 Plenty of happy people spend hours on Ocean Drive bar hopping and having an overall great time. One girl staggered up to me at the end of the night and told me she was a psychic and determined that I had "the gift, too." Did I mention they make the drinks strong on Ocean Drive? 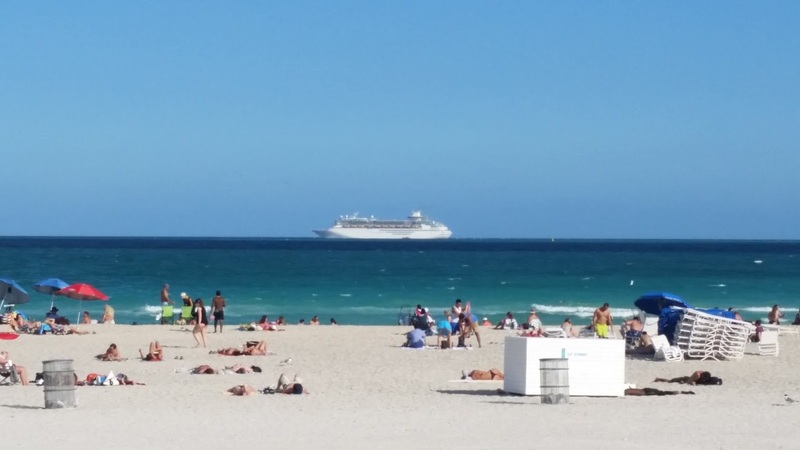 If you're lucky enough to nab a hotel room on Ocean Drive, you'll have easy access to the nearby beach located directly across the street where many spend hours sunbathing, swimming and people watching. The old Versace mansion on Ocean Drive is now operating as The Villa Casa Casuarina Hotel. At one point, we decided to escape the crowd on Ocean Drive and take a quiet walk on Collins Avenue to seek out a place to eat. When spotted the words"Quality Meats," on the side of a hotel, we were more than a little intrigued and took turns guessing what might be inside--a grocery store, a butcher shop, a deli? We finally decided to check it out and were surprised to discover that it was a full-service restaurant featuring dishes like filet, duck and sirloin, so we opted to give it a try and dine al fresco on the patio. We were both quite happy with our entrees and delighted that we managed to stumble onto the place. Filet, done three ways at Quality Meats in Miami. If you choose to dine on the terrace, be sure to check out the bar's focal point--a meat-hook chandelier. One of the dresses displayed in a boutique window. The City Loop takes riders to Coconut Grove, one of the oldest, continuously inhabited areas of Miami. The Grove offers plenty of shopping opportunities, from open-air malls to boutiques. Disembark at Cocowalk and you'll find men's and women's fashions, jewelry, gifts, accessories and more. Bistros, restaurants, and bars are open until 3 a.m. in this area and attract many area college students from the University of Miami. I suppose we didn't venture far enough to see any of the much-touted peacocks, which were once celebrated, as seen in the statue above. When I began writing this blog today, I decided to learn more about the peacock phenomenon and discovered that they appear to be wearing out their welcome. You can click here to read the story on how locals are no longer enraptured with the beautiful birds. I'll provide a snippet from the article dated July, 2016: "They're beautiful animals, and in the beginning, they're nice," Coconut Grove resident Danny Mugnai says. And then comes the but: "But they really are a nuisance, and they're going to get over-populated if they're not already. They yell at all times of the day, they go on cars and scratch the roofs. There was a guy who had a Ferrari and they scratched the whole car." According to the article, there's a lot of untoward PDA occurring as well, which has the residents in a bit of a flutter with plenty of peacock pique. The bucolic Coconut Grove has been more fowl than fair lately and that's not setting well with the residents. It reminds me of the chicken predicament in Key West. But enough with the peacock problems--on to the City Loop where riders have the opportunity to view one of the first planned communities. Coral Gables, famous for its strict zoning ordinances and its Mediterranean-style architecture, is known as "City Beautiful" and is home to the University of Miami. Disembarking at the Village of Merrick Park is a must if you enjoy restaurants and upscale shops like Neiman Marcus, Jimmy Choo, Burberry, Nordstrom and Gucci, to name just a few. At the end of the city loop is "Little Havana," and those who purchase a 48-hour "Big Bus" ticket can take advantage of a free, one-hour walking tour of the area to learn a brief history of how the Cuban people came to settle in the area and the changes that have taken place over the years. 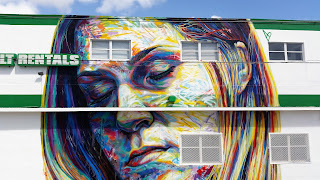 The most interesting loop, in my opinion, is the Uptown Loop, which takes tourists to Wynwood, Midtown, Historic Overtown and the Design District where a plethora of low-rise warehouses have been converted into art galleries, restaurants and cafes. Those visiting on the second Saturday of the month can join a community-wide Art & Design night held from 7-10 p.m. where galleries and design showroom owners welcome the general public with music and refreshments. 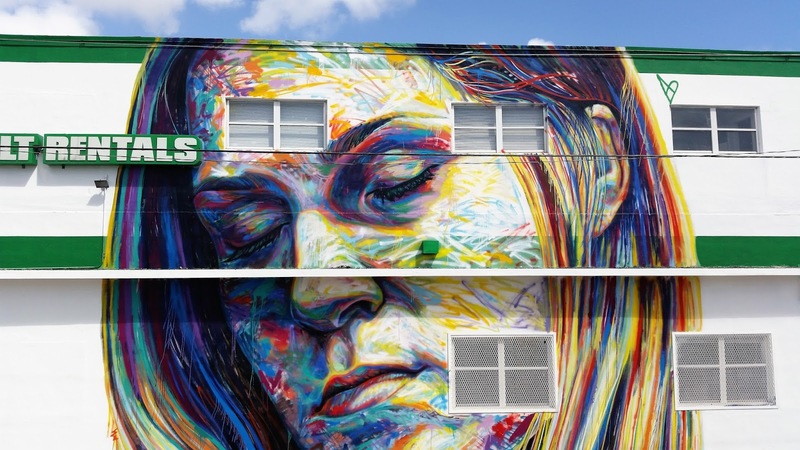 Warehouses in the Design District feature art by local artists. Before making reservations at area dining establishments, you might want to first take advantage of a culinary tour. 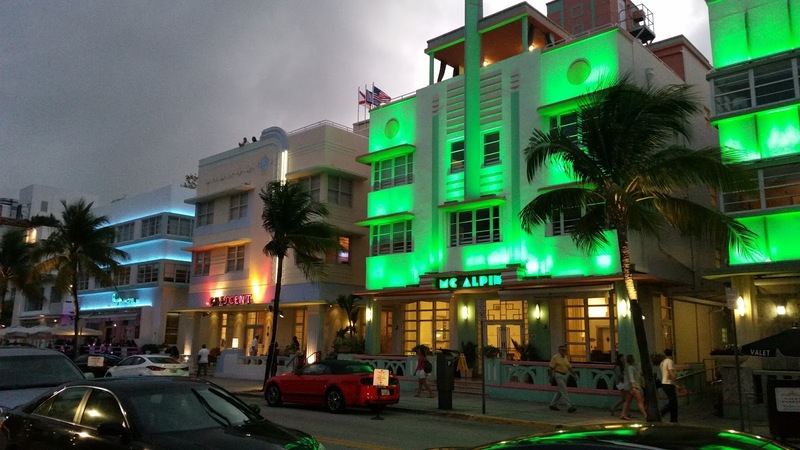 Miami Culinary Tours offers excursions into Little Havana, South Beach, Wynwood and Miami City. The 2.5-hour tours include several stops designed to give visitors an overview of the area and its cuisine. 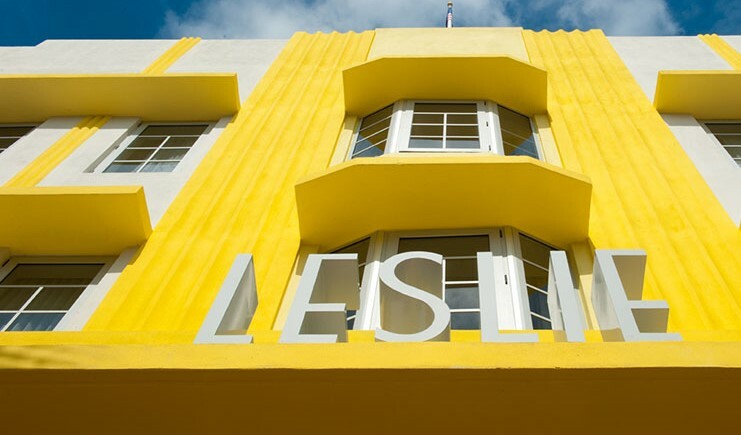 "For example, we cover the art deco district, how it got started, who preserved it in the 1980s and the events that changed Miami altogether," said tour founder Grace Della. Guests can time their walk to coincide with either the lunch, or the dinner hour. "We stop at places ranging from five-star, to mom-and-pop places where they serve amazing food at a fraction of the price," said Della. Miami's tourism industry is booming and, as such, there is no dearth of places to stay. Because we wanted to stay in the heart of the action, we chose the Hotel Leslie on the bustling Ocean Drive. 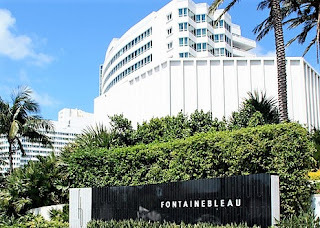 On our Big Bus Tour, we learned that the Fontainebleau on Collins Avenue is one of the most popular destinations for the well-heeled. "The Fontainebleau is the largest resort in Miami, with 1,500 hotel rooms, five restaurants and one of the top-grossing nightclubs in the world called LIV. It's the place to be and be seen," said Kristina D'Amico, an area hospitality consultant. 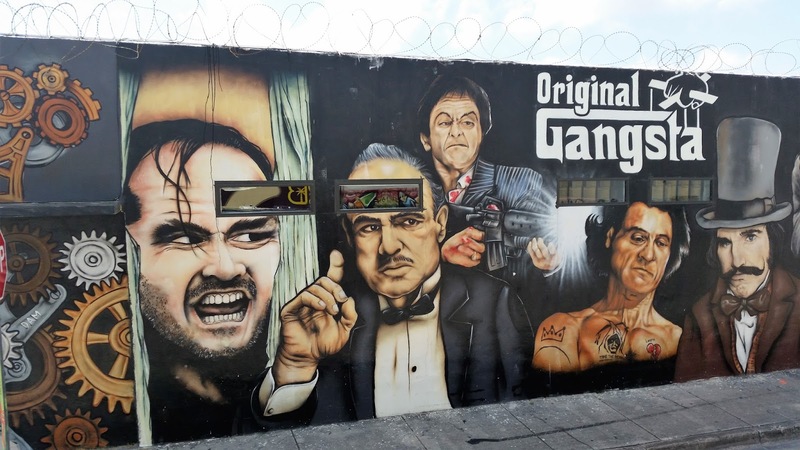 Walking off the street and peeking inside isn't an option, however and the cover charge alone will set you back between $40 and $100, depending on the night's entertainment. Even if you are willing to shell out the coin for the cover, you may not gain entrance, according to D'Amico. "It depends on who is manning the door," she said. Another upscale lodging option also located on Collins Avenue is EDITION. Located on a 3.5-acre enclave, the property stretches from Collins Avenue to the shoreline and bills itself as a "unique, world-class urban resort," offering many amenities. Those interested in a more affordable stay can't go wrong perusing the options at Airbnb, where rooms, apartments and houses are offered to appeal to a wide variety of budgets. These are just a few suggestions to take advantage of everything Miami has to offer. 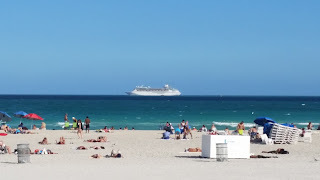 Those who are interested in booking a room on Ocean Drive might find it helpful to know that the crowds start small on Monday and grow larger as the weekend approaches. Because there is so much to do and see in Miami, I recommend a minimum of five nights to take in the entire experience without feeling rushed. And most importantly, be sure to pack the sunscreen! We had a similar experience in Miami, and really enjoyed the different loops of the Big Bus Tours. What a great way to see the city if you are short of time.